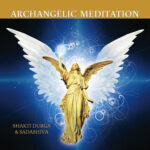 Shakti Durga | Spiritual Teacher & Master Healer / Where do I start studying with Shakti Durga? Where do I start studying with Shakti Durga? Satsangs (musical healing meditations) are great places to start or bring friends. We also run guided transformational meditations during the week online as well as at various locations throughout Australia, the USA, Canada and UK. You can connect with Shakti Durga Satsangs as a live broadcast each Sunday from her Facebook page. Better yet, come along if you’re able in person. A list of her public events is on her calendar on this site. A selection of some of her teachings are also available on her YouTube channel.